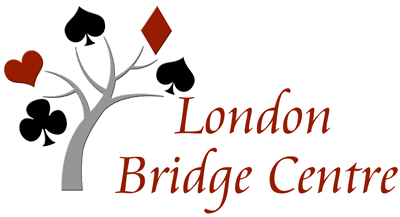 Welcome to the London Bridge Centre website. We’re so glad that you are interested in learning to play bridge – or taking it up again after an absence. It’s a card game that’s been popular for well over 100 years and fascinates people of all ages and from all walks of life. It provides the opportunity for hours of entertainment and mental stimulation, as well as meeting new people. We’ve planned a great beginner program for you. Check out the schedule of courses to see when the next beginner course begins. Our instructors are certified bridge teachers who want to help you learn this game and have fun while you are doing it. Bridge players are constantly learning new things - and that is the beauty of the game. We learn each time we play. At LBC we have players at all levels enjoying the challenge of bidding and playing the hand. We can find the perfect spot for you to enjoy this marvelous game. You do not need to have a partner - come and meet some new friends! For those of you returning to the game after an absence, or who have been playing social bridge and are wondering about other bridge adventures, our array of lessons and games has something of interest to you. Please contact me to discuss your bridge background and I'll be happy to help you find the next step to get started! As one of your beginner instructors, I am available to answer any of your questions about bridge, about the club, about the lessons. Contact me at mewiley@rogers.com or 519-433-1537. Longtime bridge player and fan of the game!